Joanne Stubley is a Consultant Psychiatrist in Psychotherapy at the Tavistock Clinic. 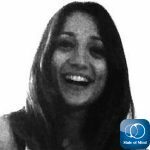 She leads the Adult Section of Tavistock Trauma Service, and has considerable experience of working with individuals, groups and organisations which have experienced trauma. She is actively involved in teaching and training in this field, with a particular interest in complex trauma. Dr Stubley is a member of the British Psychoanalytic Society (BPS) and member of UK Trauma Group. 1. 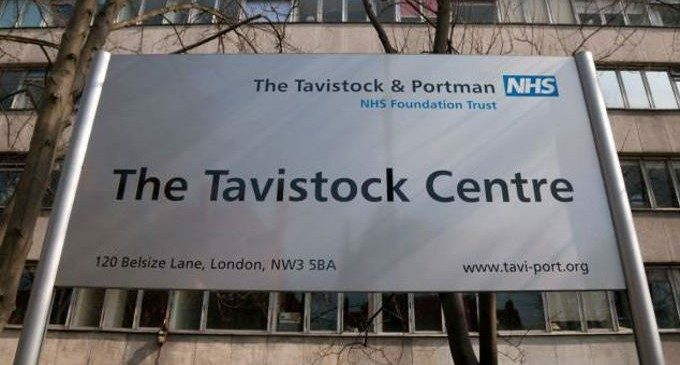 As Head of The Adult Trauma Unit at the Tavistock and Portman NHS Foundation Trust, London, could you briefly describe the services offered? The Adult Trauma Service is part of the Adult services provided from the Tavistock in the NHS Foundation Trust. It is a small unit that has been running since 1986. Initially founded by the psychoanalyst Caroline Garland, and was mainly for people who had a diagnosis of PTSD. For those people, who suffered with a single episode of adult trauma, the service offered a brief consultation, 4-6 sessions: for some people this was enough. Others, after the consultation, would go into the generic service to start a psychotherapy, individual or group treatment. The consultation appointments would last about an hour and a quarter or an half, more than the usual 50 minutes, to give people time to tell the suffering they feel, in the session, and there would generally be two weeks between sessions to help process what happened. Over the years, we have been increasing what the service offers. Currently, it follows a Psychoanalytic Approach to trauma alongside TF-CBT (Trauma Focused Cognitive Behavioural Therapy) and EMDR Treatment (Eye Movement Desensitization and Reprocessing, actually we are in the process of training): thus we offer a variety of therapeutic packages to address single episode trauma, complex and developmental trauma. 2. Regarding the profiles of patients moving through the unit, what kind of patients you treat/age/background/usual diagnoses? This population may include asylum seekers and refugees, victims of domestic violence or childhood sexual abuse, and so on. The nature of the treatment is now on chronic episodes of trauma although we do also see people with single episode adult trauma as well. We have good links with the adolescent and generic departments within the trust. Messaggio pubblicitario 3. Which kinds of treatments are offered? Individual or group? Which models of treatment are adopted? My feeling is that working with trauma patients we need to use a treatment that requires flexibility, to use more than one model may be effective. We all are trained in the psychoanalytic model as our primary training. We may initially offer a psychoanalytic consultation but then decide to offer a TF-CBT treatment. It is important to have flexibility in treatment approaches. In the same way I think that a lot of patients also have to need an adaptation in terms of dealing with psychosocial factors. So quite often we can also look at this: for housing, finances, education and training and work and also for the refugees/asylum seeker the immigration status. The question of flexibility: each patient has an individualized treatment, but all of those patients have a trauma psychoanalytic base consultation first of all. From there, we may be offer EMDR, TFCBT or a number of psychoanalytic options. This might be once a week individual or group therapy, occasionally an intensive (3/week session), but probably the majority of patients follow what we call ‘an intermittent treatment’ (which is less than once a week). That is a place that offers time for a relationship to develop; some patients come every 2 weeks, some patients every 3 or 4 weeks. We can negotiate, as a sort of flexibility in terms of seeing what they need. After a period of time it might be followed by something else. What’s about the ending of the treatment? We don’t have a formal definition of when the treatment ending is required by the department. We use the regular trauma meeting (2/month) and peer groups meeting (1/month) to think about the progress of the patients. Sometimes the question is if this patient is ready or not to move in other treatment. We also try to get links with other external agency (eg. voluntary organizations). This is a difficult question, because these kinds of patients often need a long time, in terms of building the relationship. What’s about funds? The Tavistock has contracts with local commissioners groups. We are paid in block (the trauma work is a part of that). We are not paid for individual patients, but for the general psychotherapy work that we do. Messaggio pubblicitario 4. How is your team organised in terms of varying professional roles and size of team? All the staff work part time and have other responsibilities in the department. There are 4 senior staff: Joanne Stubley (Psychiatrist) leads the Trauma Unit and also a Generic Unit in the Department; Linda Young (Psychologist) leads a team in the Adolescent Department; Maxine Dennis (Psychologist) leads the Group Therapy in the Adult Department, Birgit Kleeberg (Medical) leads the Fitzjohn’s Unit. We have different kinds of expertise in different fields. We have a Patient Advice and Liaison (PALS) officer who attends the trauma service to help patients with practical difficulties. There is not a defined number of patients or personnel staff. 5. What do you envisage for the future of the services you provide? My concern about the future is that we will continue to struggle with resources in the Tavistock, particularly in relation to wider problem in NHS. There is also the problems externally: a very fragmented NHS psychiatry service which makes it very difficult for patients to get support. Moreover, there are problems with welfare to keep in mind that affect these patients (social factors). The interview with Joanne Stubley has highlighted the value of flexibility in the use of theoretical models in order to organize clinical practice when treating patients with complex trauma. In addition, it allowed me to reflect on the need to organize services such as Trauma Unit to facilitate the work of colleagues in other mental health departments. Integration and flexibility are the key words to describe an efficient practice, which can affect the health of the community! Caroline Garland (1998). Understanding Trauma. A psychoanalytical Approach. The Tavistock Clinic Series. Susan Levy & Alessandra Lemma. The perversion of Loss. Psychoanalytic perspectives on Trauma. Series Editions Peter Fonagy & Mary Target. Whurr Pubblishers London and Philadelphia 2004. Peter Hobson (2013). Consultations in Psychoanalytic Psychotherapy. The Tavistock Clinic Series. Karnac.